Memory foam is a revolutionary product that is becoming increasingly popular for use in mattresses and cushions. Memory foam can crease like any other foam product, but because of its chemical makeup, these creases are a bit more stubborn to remove. However, there is a relatively simple way to remove the creases in any memory foam surface. Memory foam mattresses are becoming increasingly popular. Fill your spray bottle with plain tap water and spray the crease. Spray enough to wet the surface, but do not saturate the foam. Use your fingers to massage the water into the crease. Aim the hair dryer at the crease, hold it about 4 to 5 inches from the surface of the foam and keep it moving as you heat the crease. In some cases, this will completely eliminate the crease. Saturate the satin cloth with water and lay it on the crease. 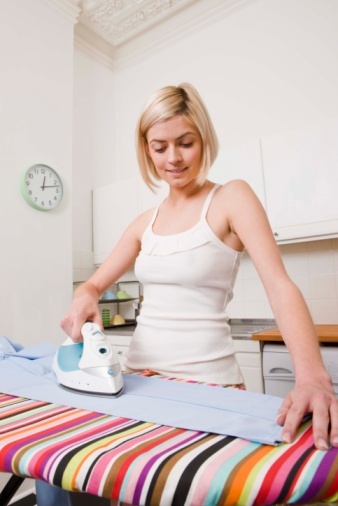 Heat your iron (use the steam setting if available) and slide it over the cloth. Keep the iron moving constantly. Continue spritzing the fabric with water as it dries. Lift the fabric periodically to check your progress. Continue this process until the crease is eliminated.